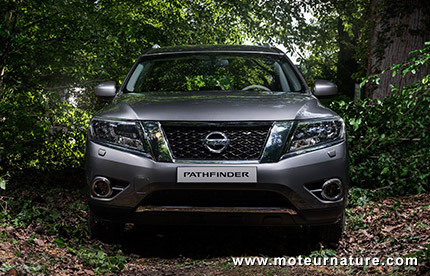 The Nissan Pathfinder, a large SUV, isn’t sold in Europe. A bit large and without a diesel, the Pathfinder would be a tough sell. Its hybrid system is much less sophisticated than the one in a Lexus RX, but Russian drivers are different. The same qualities which make the Pathfinder appealing to Americans will make it appealing as well to Russians. 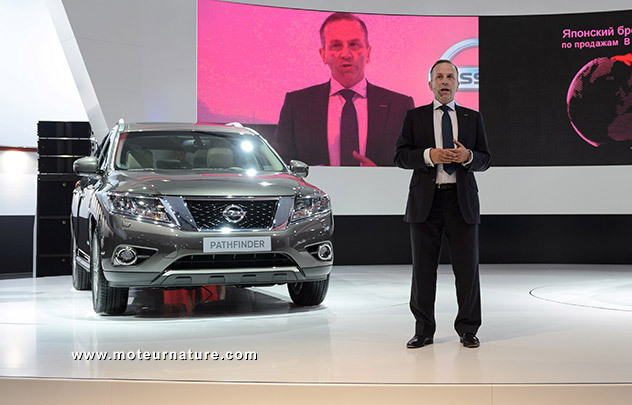 This generation of the Pathfinder was unveiled last year in America, and it has just been launched in Russia, at the Moscow auto show. The unexpected is that Nissan is undoubtedly ambitious with this car, as it has invested to manufacture it locally, in Saint Petersburg. That doesn’t sound like much, but it’s pretty big as this is the first regular production hybrid car built in Russia. This could be a bonus for Nissan, whose sales are already booming all over the country. The Japanese brand has gained much market share recently, and it shall keep on growing, even with stagnating sales, as the Russian market is clearly declining because of the worsening economic climate. We don’t expect another Russian-built hybrid car anytime soon.